Pinocchio is a tale meant to educate and build character. Should you do what's easy or do what's right? Should you tell lies? Should you fall to peer pressure? Pinocchio has a hard time deciding, and in the same way, children today have a hard time with these decisions, too. Pinocchio is one of the most favorite children's stories of all times and the most complex production in our company's repertoire. 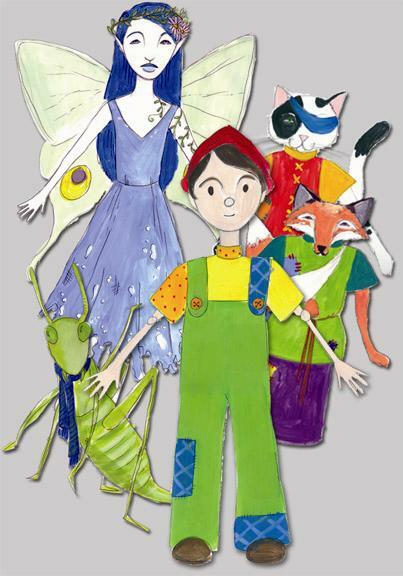 Rod puppets and shadow puppets interact with masked actors to present an exciting version of this classic story written for us by Keri Horn.